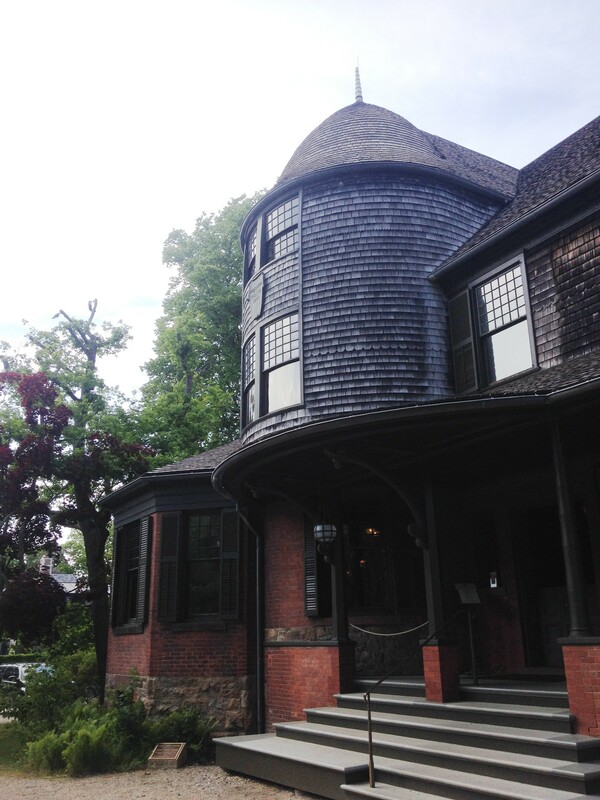 The Isaac Bell House in Newport, Rhode Island, in June 2015. 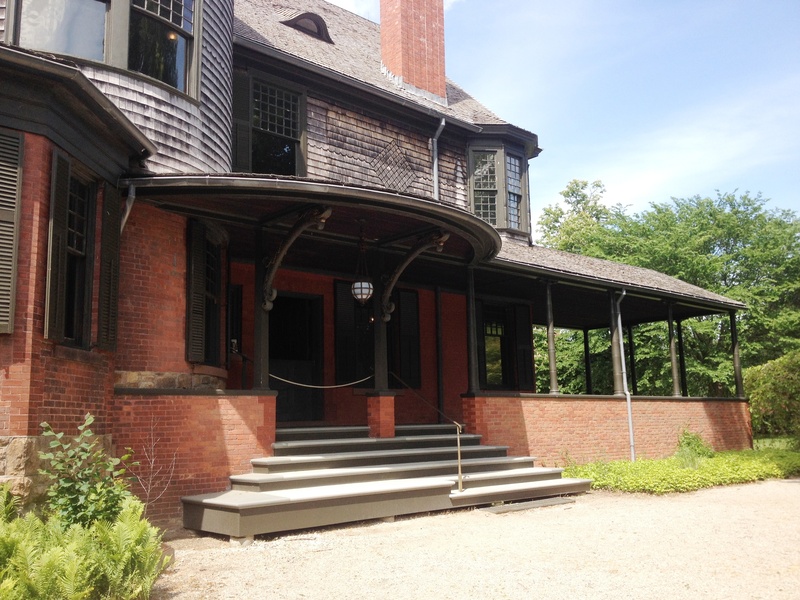 During the warmer months, hordes of Newport visitors converge on the Marble House and Breakers, a pair of former summer homes turned house museums now owned by the Preservation Society of Newport County. The buildings exemplify the excesses of the Gilded Age with their sublime architecture, sprawling grounds, and sensational ocean views. 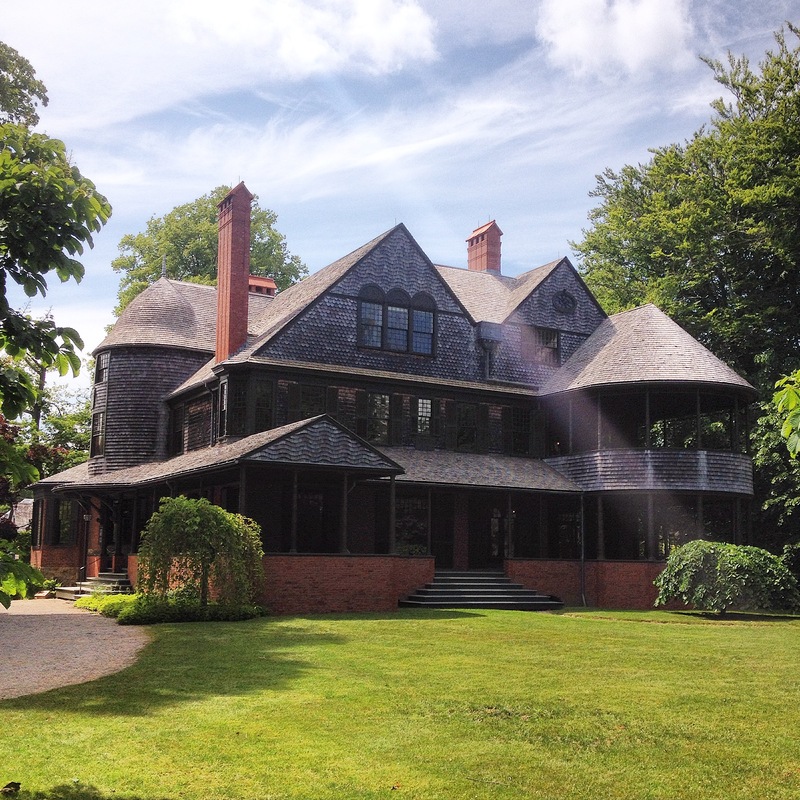 To get to the two Bellevue Avenue landmarks, most patrons pass the Isaac Bell House, another Preservation Society property from the same era. Unlike its comrades down Bellevue, the more modest Bell House lacks features such as gold leaf ballrooms, saltwater baths, and Japanese tea house outbuildings. Instead, it is located on garden lot set back from the avenue and blends in nicely with its leafy neighborhood setting. What it lacks in showiness, it more than makes up for in taste and superior design. The building takes its name from its first owner, Issac Bell Jr., a member of an established New York family who made a name for himself in the cotton business. In 1879, Bell’s brother-in-law, New York World newspaper owner James Gordon Bennett, commissioned fledgling architectural firm McKim, Mead, and White to design the Newport Casino. The Shingle style playground for the East Coast hoity toity proved popular, so Bell hired the same firm to design a summer getaway for himself on a lot a few blocks away. 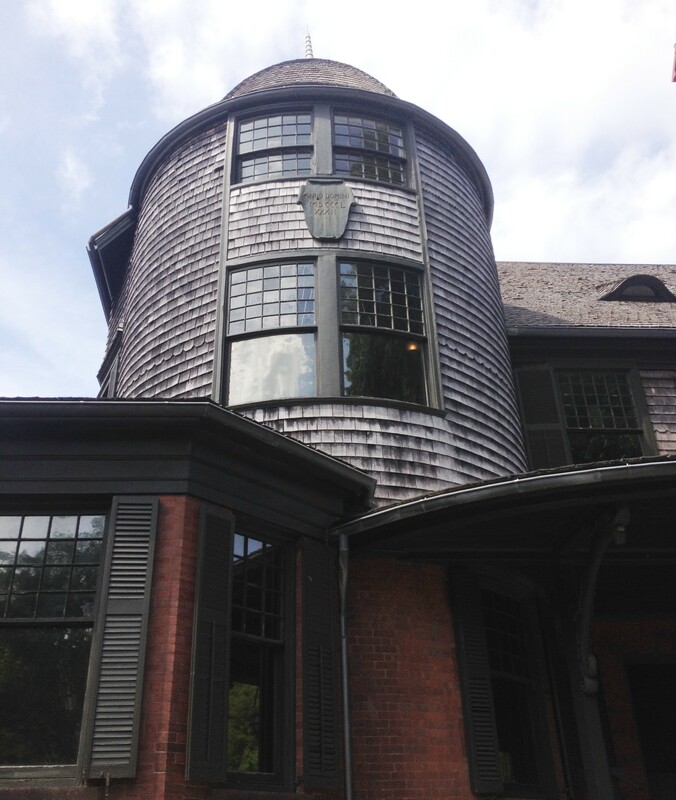 McKim, Mead, and White created a Shingle style masterpiece that fuses colonial, European, and Japanese elements. Completed in 1883, the three-story building is distinguished by its steeply pitched gable roofs and two conical towers. The stone and brick cladding on the lower level gives way to cedar shakes on the upper floors. Deep porches and expansive windows allow plenty of shade and opportunities to catch breezes. Soaring brick chimneys top off the building. The imaginative design continues inside. The layout has an open floor plan, a Japanese design feature rare at the time in that part of the world. Frank Lloyd Wright would embrace this layout a few years later in his Prairie Houses, and the floor plan is a must for homes today. 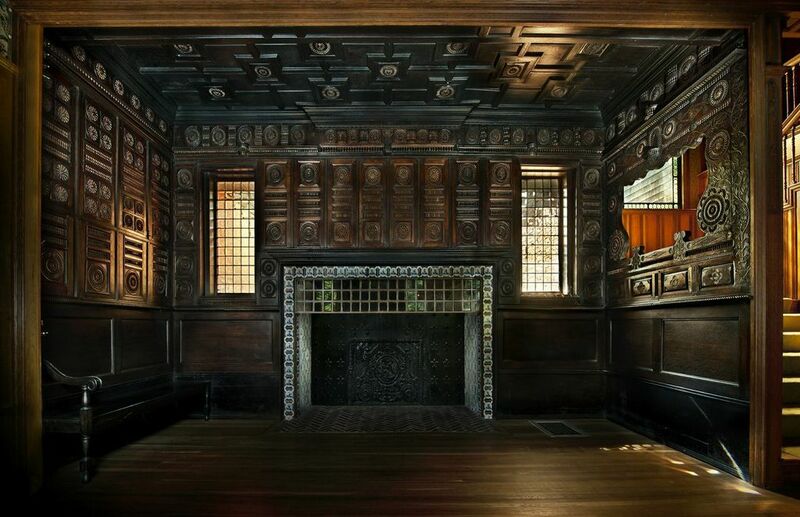 A fireplace with seating area with dark wood walls is located at the center of the house. Rooms with sliding doors radiate off the central hall. An intricate stained glass window is located along the central stair with an equally alluring skylight above. Bell’s ownership of the house was brief. He died in 1889 at the age of 42 after he served two years as the U.S. ambassador to the Netherlands. New York attorney Samuel Barger rented the house while Bell was overseas, and Bargar bought it from Bell’s widow in 1891, renaming it the Edna Villa after his own wife. It remained in the Barger family until 1952. In the latter half of the 20th century, the building was used first as a nursing home and then divided into apartments. 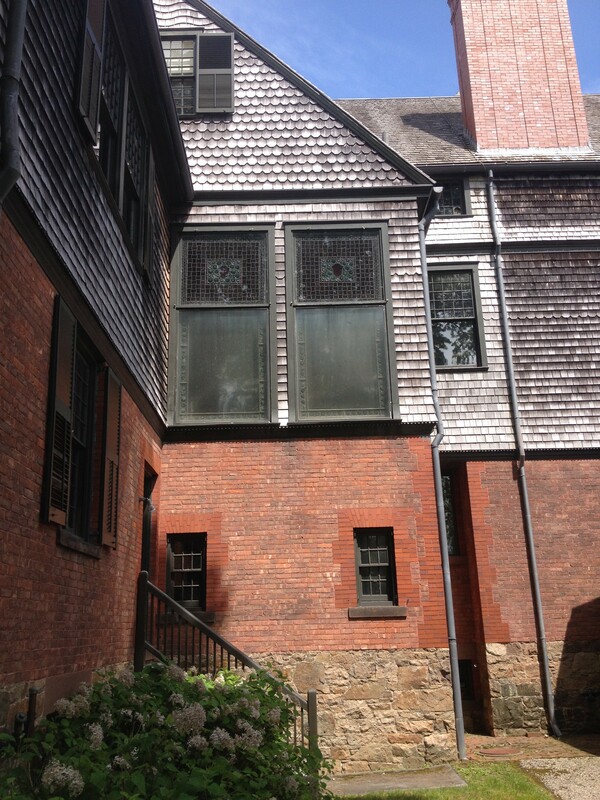 The Preservation Society of Newport purchased it in 1994 and commenced its restoration. The Bell House became a National Historic Landmark in 1997. 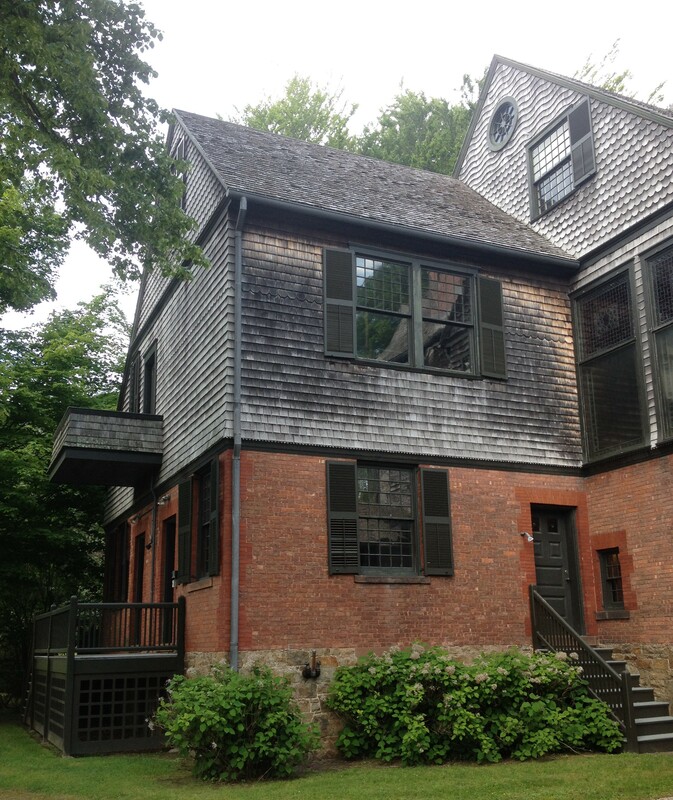 I first encountered the house in 2009 when I visited as part of Preservation Institute: Nantucket. Our two-day stay in Newport also included tours of the Hunter House, Marble House, Breakers, Chateur-sur-Mer, and Kingscote. All are richly furnished with not a cockeyed painting in sight. All also present a false sense of history. In contrast, the Isaac Bell has hardly any furniture, curtains, paintings, or the like; it instead is interpreted to allow its timeless design to stand for itself. Note: Most of the photos below are from my latest visit in June 2015. Despite my request, I was not granted permission to capture interior shots during my latest visit. The Preservation Society has a backward policy that bans interior photos–unless one is part of a tour group. They claim it is to protect the interiors, but non-flash photography has no effect on historic elements, and the effect of flashes is negligible at best. If they want to be safe, they should ban flashes, but the blanket interior photography ban for amateur photographers is ridiculous. East facade facing Bellevue Avenue. 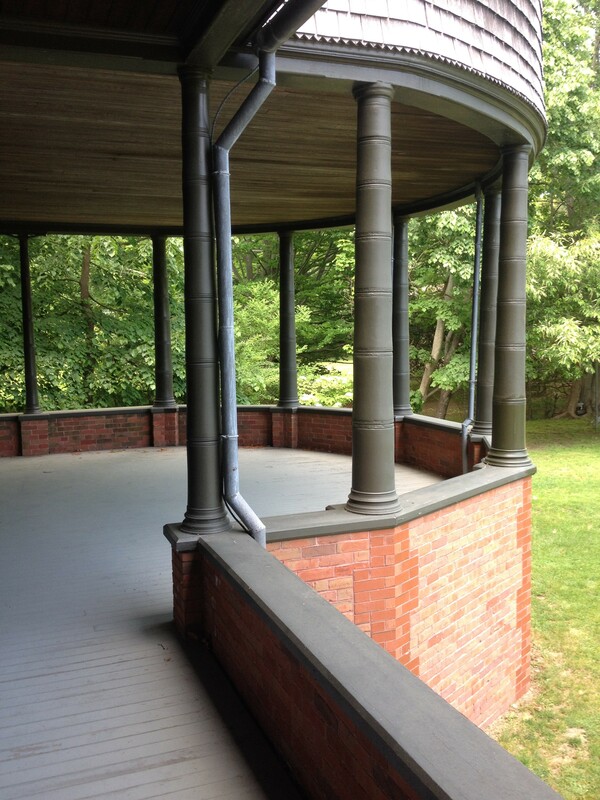 Even the downspout system is beautifully designed. 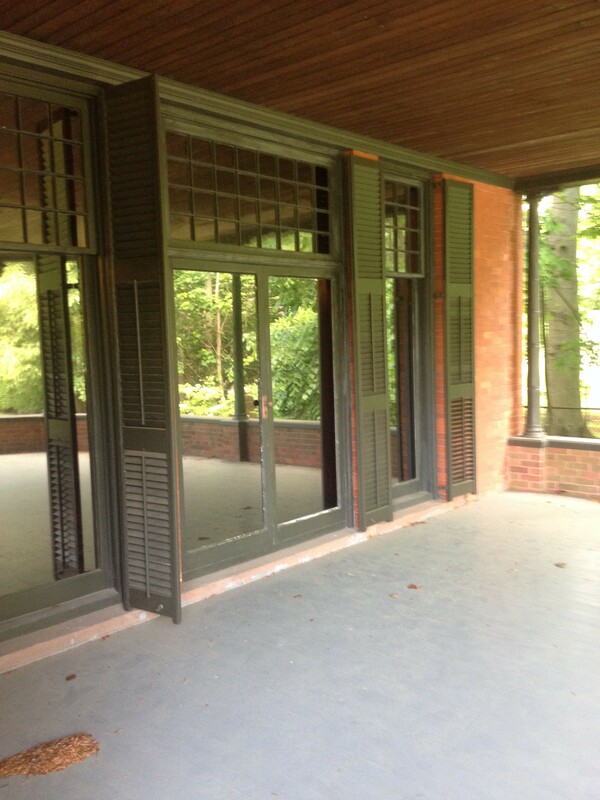 Deep front porch with floor to ceiling windows. 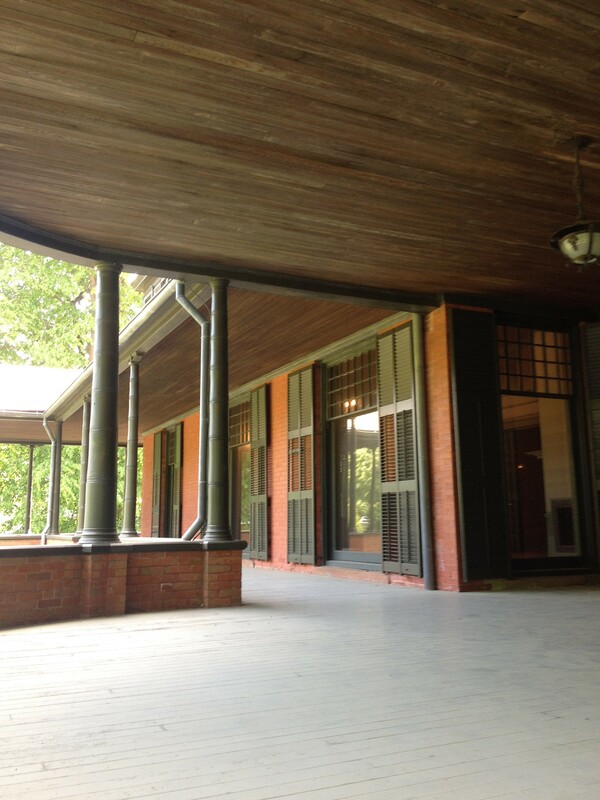 The side entry porch bottom stairs are two heights for both arrivals by carriage and foot. Also note the dragon head canopy braces, another Japanese design inspiration. 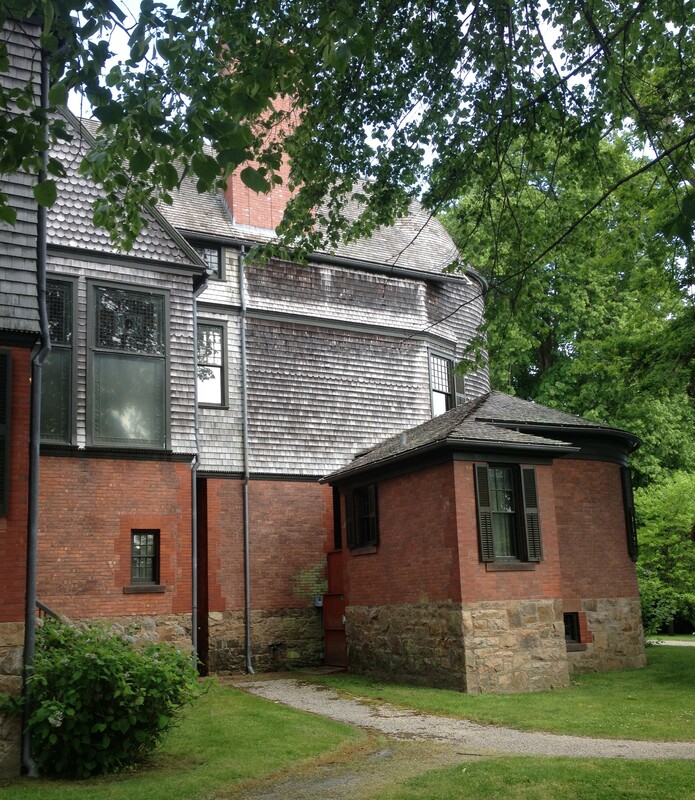 Side entry porch and tower. View of the building’s rear elevation. Interior from my 2009 visit. Stained-glass ceiling detail from 2009.